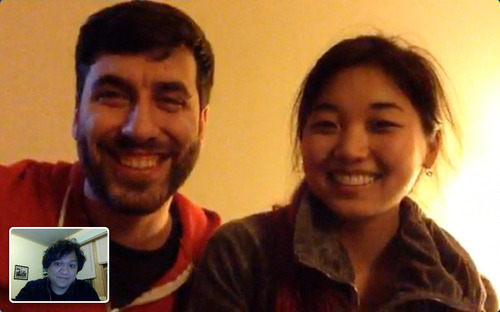 I really should use FaceTime more to talk to my friends, and see them. My mom was telling me about how lucky we are to have this sort of technology. For her to communicate with her relatives long-distance back then, they had to write letters. Don’t get me wrong, I love writing letters, but having this instant technology…we should really take more advantage of it. I love FaceTime. I get to see my mom and hear her voice. A Mama’s Boy’s gift.